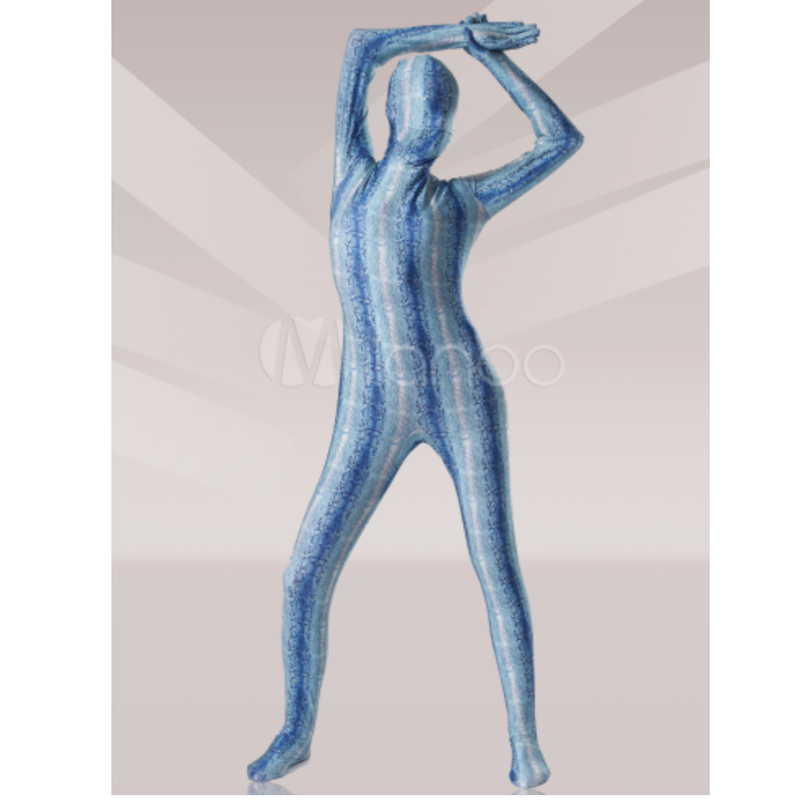 Zentai suits, better known as cat suits, are a favorite among dancers, actors, singers and other dramatic production participants. Some of them are all inclusive, meaning all parts of the body – even the head and hands are covered – while others have varying degrees of openness. They hug the body’s form, giving the illusion of a second skin and are worn alone without clothing on top. This one is an all inclusive style in a light blue scheme and has a great snakeskin pattern throughout.